Need an Eye Doctor Near You in Walmart of Sunrise & Plantation? Looking for An Eye Doctor Near You in Sunrise? Dr. Haiman takes the time to explain the results of your eye exam, describe your options and listen to your eye care needs. Because maintaining good eye health is an ongoing partnership, our Sunrise eye care team encourages you to ask questions and share your health information, which could be vital to monitoring, diagnosing and treating potential vision problems. 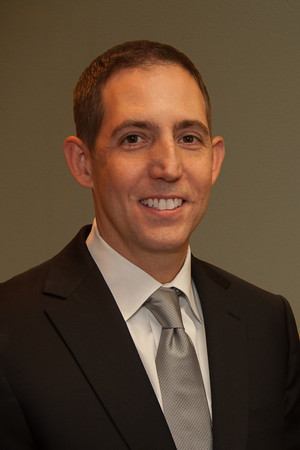 Dr. Haiman graduated with Honors from Indiana University School of Optometry in 1999. He completed his residency at the Boston Veterans Administration specializing in diseases of the eye and brain, such as glaucoma, macular degeneration, cataracts and strokes. After his residency he accepted a position as Director of Optometry at New England Eye Center – one of the Country’s top 5 Ophthalmology Centers. This referral site gave him advanced experience in glaucoma,cornea diseases (including LASIK consultations and co-management) and hard-to- fit contact lenses including scleral, semi-scleral and RGP lenses. In 2002, he relocated back to his home state of Florida and started his independent clinical practice, SunriseEye Care, within the Walmart Vision Center. While in private practice, Dr. Haiman continues to develop advanced ocular care while serving his local and optometric community. 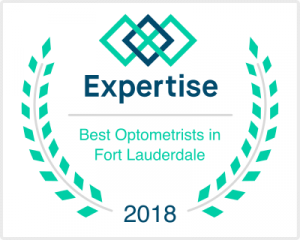 He served on staff at the West Palm Beach Veterans Hospital for 9 years, and also served as an adjunct faculty member for the Illinois College of Optometry, Nova College of Optometry and New England College of Optometry. Additionally, Dr. Haiman has lectured nationally and has published several articles in industry journals. Dr. Haiman continues to expand his knowledge of dry eyes, glaucoma and scleral and semi-scleral contact lenses by being a member of Energeyes Association, American Optometric Association and the Florida Optometric Association and attending national meetings and symposiums. He is currently certified to perform Blephex, an in office procedure to provide relief of dry eye related symptoms and improve ocular health. Dr. Haiman feels privileged to be in a profession that allows him to help others. His passion for the profession is obvious once you meet him. You will find him very empathetic and easy to talk to. He sees every patient as a special individual and tailors his treatment plans to meet his patients’ needs.